Who is Stanley? And why do we want his cup?!? Yes, I know. It’s hockey. We don’t have a lot of hockey in Mississippi, so I have to admit I don’t know what the big deal is! And yes, I do follow sports…. well, when I say sports, I mean football…and only a little. But seriously, hockey is nowhere on my radar. Only recently did I realize that Chicago has its very own NHL hockey team. And we (The Blackhawks) might win the Stanley Cup. This is like the World Series of hockey – I know this because I looked it up on Wikipedia. And like the World Series, there are 7 games. Game 6 is being played right now as I type! Chicago could win for the second time in four years. (I guess this is a big deal; I skimmed an article and this was written in the first paragraph.) All I know is this: when I saw a play on Saturday night, a slightly emotional scene was semi-ruined because of Blackhawks fans celebrating in the bar across the street. Rude! But in the spirit of ‘Root, root, root, for the home team’, I decided to make a list: Everything I know about hockey (literally, everything). 1. 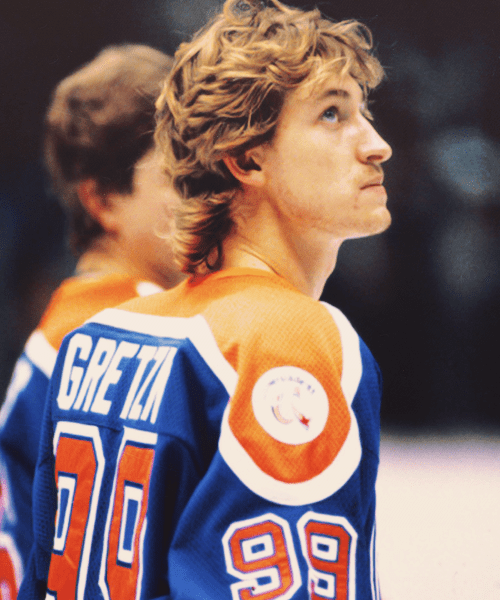 Wayne Gretzky is some kind of big deal. Here is a picture of him from his younger days. Hey, Wayne! Lookin’ hunky with your mullet! 2. Hockey is played on ice. You must wear ice skates! I do not understand why anyone would want such a funny looking trophy. 4. Miracle is a movie about the U.S. Olympic hockey team. This team won the 1980 winter games. (I had to look up this fact to verify it.) And by looking at Kurt Russel’s wardrobe, 1980 was a year when plaid, bell-bottom pants were all the rage. Yes, I’ve seen the movie. No, I don’t remember why it was a miracle. 5. In hockey, you play with a ‘puck’ instead of a ball. The object is put the ‘puck’ in the other team’s goal. 6. Chicago’s NHL team is the Blackhawks. I have no idea how many teams are in the NHL, but here is their logo. One of the more racist team mascots, I would venture. 7. Hockey is a rough game. I do not know why exactly – it just is. If you are a little wus, you probably shouldn’t play hockey. The other players will crush you. Fact. 8. Like soccer, each team has a goalie. Unlike soccer, the goalie must dress up like a scary boogie-man that haunts my nightmares. How is this not terrifying? 10. The breakout star of Mighty Ducks was Joshua Jackson who would grow up to become quite a stud. One of his more notable roles was as Pacey on Dawson’s Creek. Joey Potter, you definitely made the right choice! In the time it took me to write my list, the Blackhawks just won the game! Go Hawks! Apparently, it was a dramatic game. Maybe I’ll learn a thing or two before next hockey season and actually watch a game. And just for fun, here’s another picture of Joshua Jackson. Ahhh – love me some Pacey! 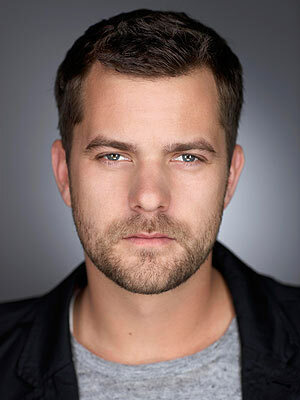 I’m impressed you were able to transition from hockey to Joshua Jackson! And I’m totally in the same boat. They never taught us Southern girls about this crazy sport! It should be in the “Leaving the South” Handbook. No kidding! What exactly is going on?